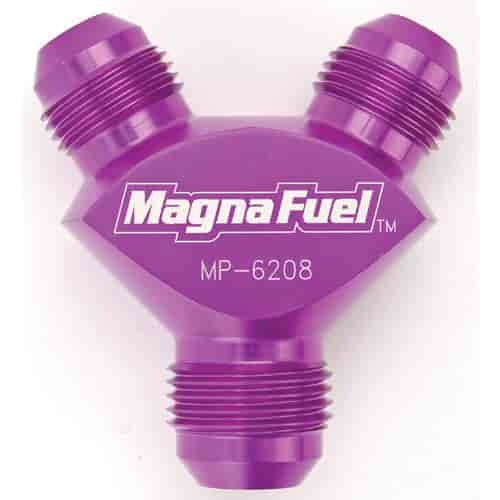 MagnaFuel Y-fittings give you an overall smoother flowing system no mater what the application. They feature a light weight design that is less than comparable Y-blocks and fittings. They are machined from 6061-T6 billet aluminum and feature a hard anodized finish for protection from alcohol and fuel additives. They feature a leak-proof, one-piece design and are avalible in many popular sizes to fit your specific plumbing needs.